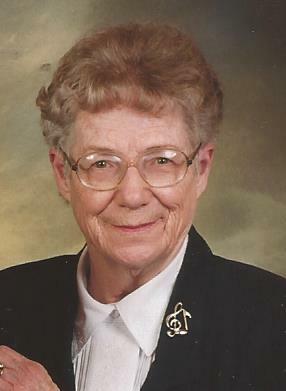 Mary Lillian “Mary Lee” (Shuttleworth) Bowman, age 89, of McHenry, MD, passed away Saturday, February 2, 2019, at Goodwill Mennonite Home, Grantsville, MD, where she was a resident. Born April 18. 1929, she was a daughter of the late Robert Gay Shuttleworth, Sr. and the late Vida Viola (Miller) Shuttleworth Dickey. She was also preceded in death by her husband of 64 years, Charles H. “Skeeter” Bowman, McHenry and her brother, Robert Gay Shuttleworth, Jr., Chicago, IL. Mary Lee was a graduate of Oakland High School and attended Frostburg State Teacher’s College, where she studied art. She co-owned and operated Bowman’s Marina, in McHenry, from the 1950’s to the 1970’s. She worked at the Wisp Ski Resort in the ticket sales department for many years, and also designed and lettered the advertising signs for the Wisp. Mary was known in the community as an outstanding artist, enjoying oil, acrylic and watercolor painting, embroidery, quilting, sewing, lettering, and any other form of art expression she came across. She won her first art contest at the age of nine. She was also recognized in the State of Maryland Governor’s Salute to Excellence in the “Maryland You Are Beautiful” Senior Citizen’s Arts Competition in 1992. Mary looked forward to entering numerous items in the Garrett County Fair each summer. In her spare time she learned to play the organ. She was a forty-one year member of the Deep Creek Vol. Fire Hall Women’s Auxiliary. Mary was also a member of the McHenry Homemaker’s Club for many years, where she served as Vice President and Treasurer. Mary was a longtime member of Hoyes United Methodist Church. She also attended McHenry United Methodist Church and Deep Creek Baptist Church for a period of time. After retiring, Mary and her husband, “Skeeter”, enjoyed traveling for many years. She enjoyed collecting restaurant creamers and wrote an article in the Spinning Wheel magazine in 1978 about her creamer collection. Mary is survived by her three daughters, Karen Lee (David) Fazenbaker, Frostburg, MD, Linda Sue (Allan) Niederberger, Romney, WV and Kimberly Anne Brady, McHenry; five grandchildren, Melinda (Joshua) Crowe, Fort Ashby, WV; Kristi (Lawrence) DeLeurere, Morgantown, WV, Jesse (Jenni) Niederberger, Ernest, PA, Gregory (Nadine) Niederberger, Cool Ridge, WV and Patrick Brady, McHenry and six great-grandchildren. The family would like to thank caregivers from Tender Loving Home Care for helping their mother to stay comfortable in her home until it was time to leave for Goodwill Mennonite Home. They would also like to thank the staff at the nursing home for the fine care their mother received while she was a resident. Friends will be received at the Newman Funeral Homes, P.A., 26722 Garrett Hwy., McHenry (Accident), on Wednesday from 2-4 and 6-8 p.m. Funeral services will be conducted in the McHenry United Methodist Church on Thursday, February 7, 2019, at 11:00 a.m., with Pastor Jonathan Acord officiating. Friends may call at the church one hour prior to the services. Interment will be in the Flatwoods Cemetery. Expressions of sympathy may be directed to the Alzheimer’s Association, 1850 York Rd. Suite D, Timonium, MD 21093 or the Deep Creek Vol. Fire Dept., P.O. Box 419, McHenry, MD 21541.